If you have wondered in what way you can help The Venus Project but have felt you lack the skills to contribute to our other teams, we invite anyone with knowledge of English grammar, writing, and reading to join our Transcription Team. The Transcription Team is dedicated to transcribing and proofreading an archive collection of over 1,000 audio and video lectures given by Jacque Fresco since 1969. These lectures contain deep insights into the workings of human behavior and psychology, clear diagnosis of social problems, profound questions about the future of the human species, and many scientific and technical hypotheses about building an alternative social system. The sound quality of these lectures is a result of the available technology at the time of their recording. The lectures and resulting transcripts are used in our educational products. 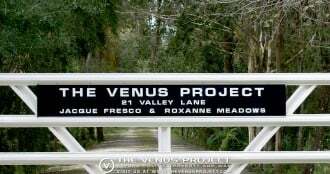 Some of these lectures are released for free while some can be purchased from The Venus Project online store. The proceeds from these purchases help to advance The Venus Project’s next major goals. Information extracted from these transcripts also contributes to the development of our two high-priority projects, the Center for Resource Management and a science fiction transmedia IP. Transcripts will likely serve other projects in the future as well. To join the team, please follow the instructions on this page.